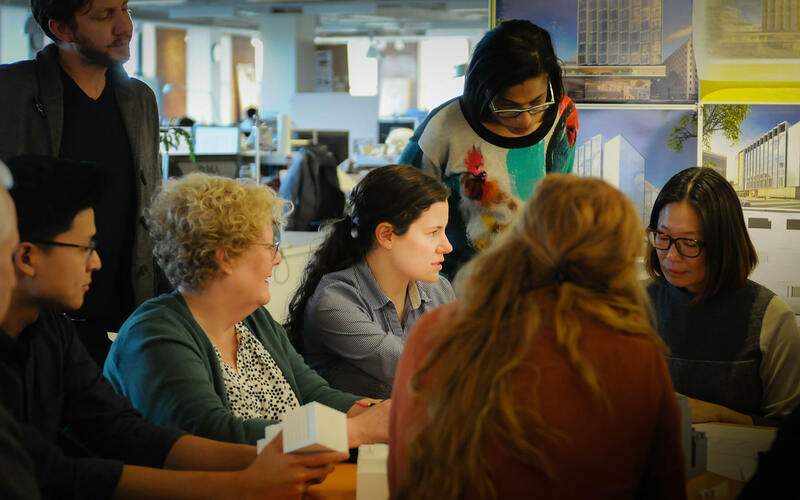 In less than two weeks, Payette’s Karen Robichaud Director of Creative Engagement will lead a workshop that focuses on expanding equity and inclusivity for women in the architecture and design community. The two half-day “Me to We” workshops, organized by Houston AIA’s Women in Architecture Group, will be held on April 18. Architectural Digest spoke with Karen, President/CEO Houston Parks Board Beth White and Women in Architecture Committee Chair Amanda Dean on the importance of this event. Building designs have long reflected the viewpoints of those in power, prohibiting diverse collaboration in architecture. This workshop aims to tackle these issues with hopes to set Houston’s architectural community on a path to cultural change. Karen’s goal of the workshop is to enlighten attendees on the opportunities that arise when firms invest in collaboration and diversity. Collaboration is beneficial to design because it allows for different perspectives and encourages innovation.